Special discount available for organizations and groups focusing on mental health. Please email sales@kartemquin.com for information. 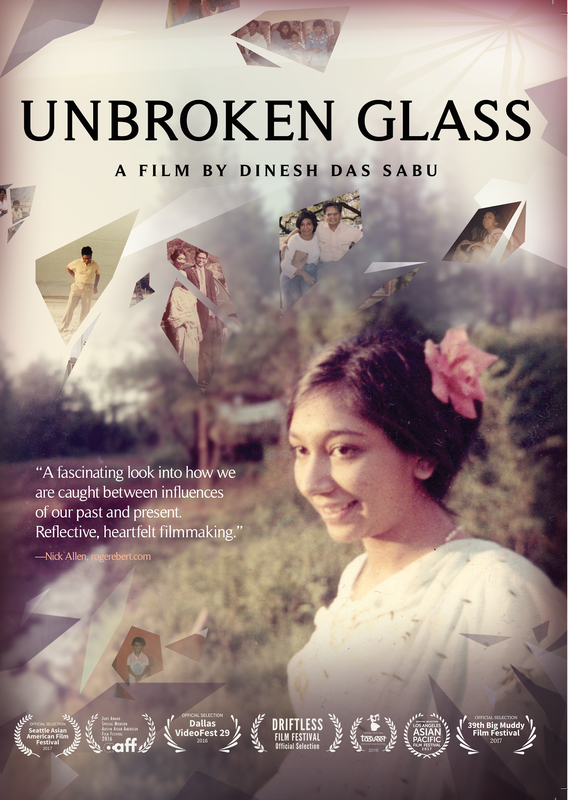 Unbroken Glass by Dinesh Sabu. The DVD includes excerpts from the Q&A session following the film's opening night of its Chicago run at the Gene Siskel Film Center, during which director Dinesh Sabu was in conversation with Kartemquin Artistic Director Gordon Quinn, Sangheetha Ravichandran PhD candidate at the University of Illinois Chicago and board member of the Chicago Women's Health Center; moderated by Howard Reich, Chicago Tribune arts critic and producer/writer of Prisoner of her Past. The DVD also includes extended scenes. When he was six-years-old, Dinesh Sabu’s parents died. Raised by his older siblings, he had little idea who his parents were or where he came from. Through making Unbroken Glass, he attempts to piece together their story and his own. Uncovering a silenced family history and disturbing truths, Dinesh and his siblings must finally reconcile the past, confronting the trauma of losing their parents and the specter of mental illness. Unbroken Glass weaves together Das Sabu’s journey of discovery with cinema-verite scenes of his family dealing with still raw emotions and consequences of his immigrant parents’ lives and deaths. The film was shot over five years in Illinois, California, and India.